Nifty trick for the cheesiest comfort food in town! If I were asked to name my family’s favourite food, my answer would definitely be cheese. We share a love of many different varieties of cheese and as a result, it gets incorporated into my cooking on a very regular (ok, daily) basis. One of our all-time favourite meals is grilled cheese and while many people tend to think of it as a lunch option, we quite enjoy it for breakfast too. The add-ins are different every time; sometimes it’s sliced apples or pears; other times, it’s onions and bacon or spicy salami. We’ve even been known to cut a grilled cheese sandwich into little squares and use them as croutons on soup or in salad. 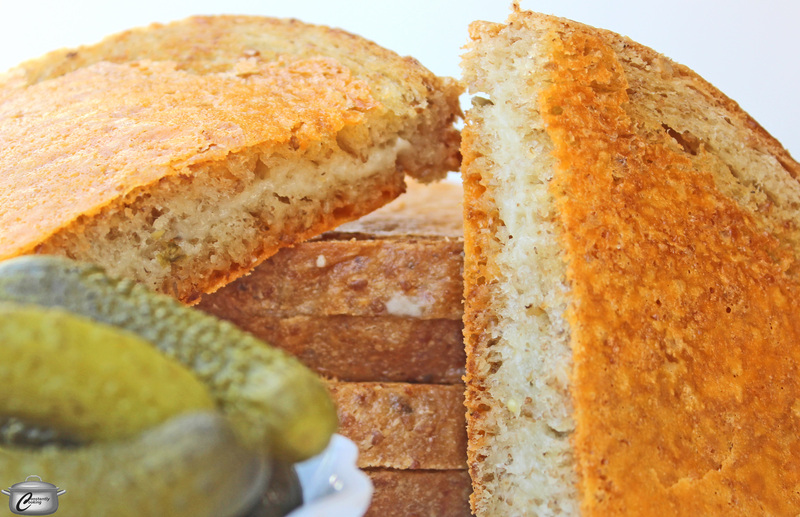 However you like to prepare grilled cheese, be prepared for a mind-blowing (or at least taste bud-blowing) twist. I’m now making my sandwiches with cheese on the inside AND the outside! I was pleased to work with Canadian dairy powerhouse Armstrong Cheese to develop this flavourful, protein-packed recipe. If you think my love of cheese is strong, you should learn about theirs! 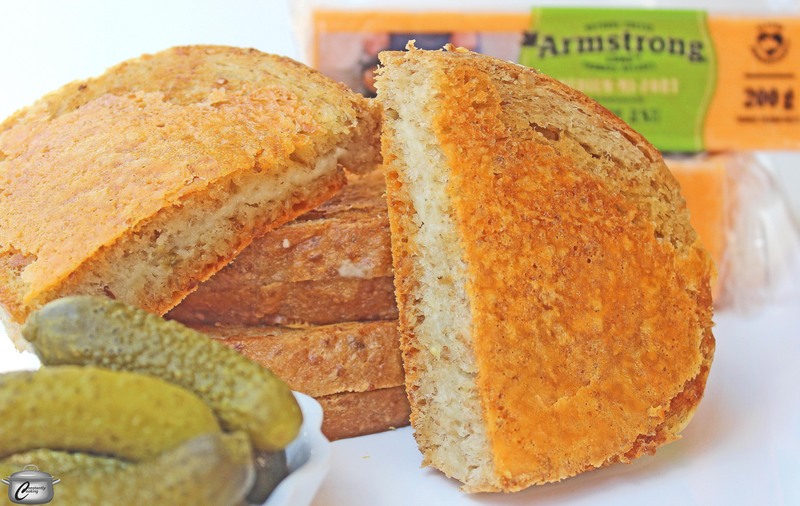 Remember, you need great-tasting cheese to make a memorable grilled cheese sandwich; Armstrong’s been making quality, natural cheese since 1902 so you know you just can’t go wrong with any of their products. Follow the steps below and discover an innovative new way to boost your love of grilled cheese and if you enjoy this recipe, check out this pulled pork beauty on the Armstrong Cheese website. * use whatever bread your family prefers; if the loaf is dense, it’s better to slice it a bit more thinly so the cheese in the middle will melt more efficiently. Preheat non-stick frying pan over medium heat. While pan heats, lightly butter one side of each bread slice (the outsides, if you fit them together so they match in terms of shape). Place one bread slice, buttered side down, in the preheated pan. Lay the sliced cheese on top. Cover with the second slice of bread, buttered side up. Cook for 3 – 4 minutes until bottom of sandwich is golden brown and cheese in the middle is beginning to melt. Flip and cook for 3 – 4 minutes more, until other side is golden. Lift sandwich out of the pan and sprinkle 1 tablespoon (15 mL) of the grated cheddar into the pan, approximately in the shape of a bread slice. Lay the sandwich on top of the grated cheese. Reduce heat to medium low. Cook for 2 – 3 minutes, until grated cheddar is melted and getting crispy, then gently loosen sandwich with the edge of a plastic or silicone spatula. Flip sandwich then lift out of pan and add remaining grated cheddar to the centre of the pan. Lay sandwich over top and cook for 2 -3 minutes more. Remove sandwich from pan, cut in half and serve immediately with your favourite accessories. I won’t judge if you select ketchup, but pickles > ketchup. Always. Note: I received product and compensation from Armstrong Cheese to develop this recipe and blog post but opinions expressed are, as always, completely my own. 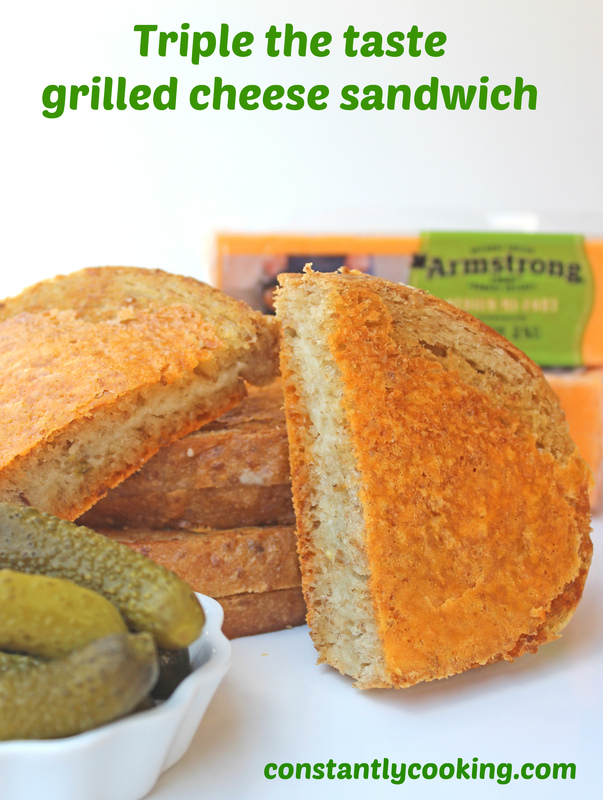 This entry was posted in cheese and tagged Armstrong Cheese, Canadian, Canadian cheese, Cheddar, Cheddar Cheese, Grilled Cheese, how to make a better grilled cheese sandwich, National Grilled Cheese Day, Paula Roy, sandwich. Bookmark the permalink.